The Haight-Ashbury district in San Francisco is known as the heart of the 1960s hippie movement. 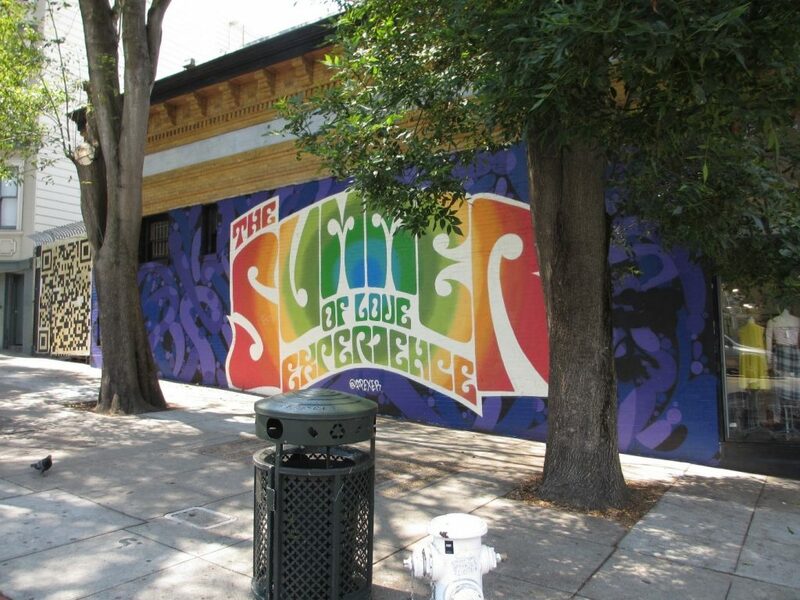 The “Summer of Love” in 1967 is without doubt the most famous happening that took place in the Haight-Ashbury district and is associated with freedom, many legendary music bands, drug use, and war resistance. The popularity of this social movement attracted a lot of young people to San Francisco, and to Haight-Ashbury in particular. As a consequence, San Francisco became the hippie capital of the world, and Haight-Ashbury the epicenter. However, the rapid influx of people could not be accommodated by the neighborhood and caused several problems such as crime, drug abuse, homelessness and overcrowding. The “Summer of Love” ended and the area went into decline, until recovery was generated by urban renewal in the 1970s. Fifty years later, the spirit of the Summer of Love is still all around in Haight-Ashbury. A visit to the neighborhood shows that even today hippies from around the world come to the area to experience the “flower power” of the 1960s. However, it can be suggested that today many of these “hippies” are more likely to be “hipsters”, who spend lots of money in the shops, coffee bars and vintage stores which have commodified the “Summer of Love” in order to attract visitors. In recent years the area also has become known for the process of gentrification and the influx of young urban professionals. Thanks to these “yuppies” San Francisco has become one of the most expensive cities to live in and the neighborhood of Haight-Ashbury is no exception. As a consequence, homelessness has become once again a characteristic of this city and the hippie neighborhood of Haight-Ashbury. Up until this day, a lot of references to the hippie movement can be found in the neighborhood of Haight-Ashbury. During the seventies, the Department of City Planning aimed to regenerate a commercialized version of the hippie and counterculture era. They figured aspects of hippie style could fed the consumer society and that the area could be a potential bohemian shopping district. The attempt of the Department of City Planning to commodify the “Summer of Love” is still visible today. The use of symbols, murals and decoration represents the history of the area and emphasizes the spirit of peace, love, and happiness. In order to attract tourists and make them experience the “Summer of Love”, the streets of Haight-Ashbury are decorated with bright rainbow colors, peace symbols and murals of legendary musicians. Jerry Garcia (the lead guitarist and vocalist of the popular band Grateful Dead), Bob Marley, and David Bowie can be found on many murals. “Summer of Love” mural painting. Besides decoration, many theme tours (such as a traditional Volkswagen bus tour) and events are being used to create the tourist attraction that Haight-Ashbury is today. The area is also characterized by several hippie themed shops, such as a Tie Dye shop and many Tibetan or Nepalese gift shops which can be recognized by the prayer flags, the smell of incense, and exotic souvenirs. Many other souvenir shops can be found in the neighborhood as well, selling Haight-Ashbury merchandise, such as gifts with peace logos, famous band logos, flowers, and psychedelic patterns. The commodification and commercialization of the “Summer of Love” and the hippie movement attracts many tourists to the area and is therefore very beneficial to the city, local restaurants, tour operators, shop owners and other businesses. This upgrade of the Haight-Ashbury district also resulted in attractive housing opportunities for new, high income inhabitants. Whereas young hippies moved into Haight-Ashbury in the sixties, a new subculture has moved into the area in recent years: hipsters. Just like hippies were the dominant subculture in San Francisco during the sixties, hipsters seem to be the dominant subculture in the city today. 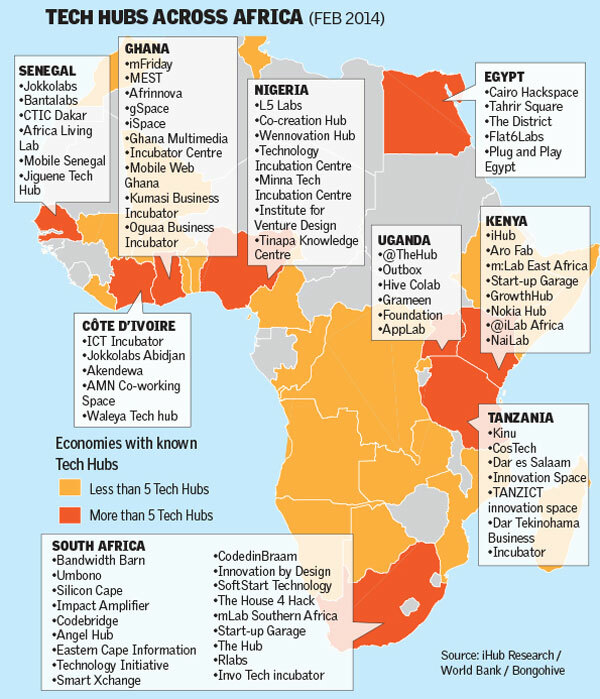 Hipsters can often be seen as young urban professionals (also called “yuppies”) and are often linked to the nearby tech cluster Silicon Valley. 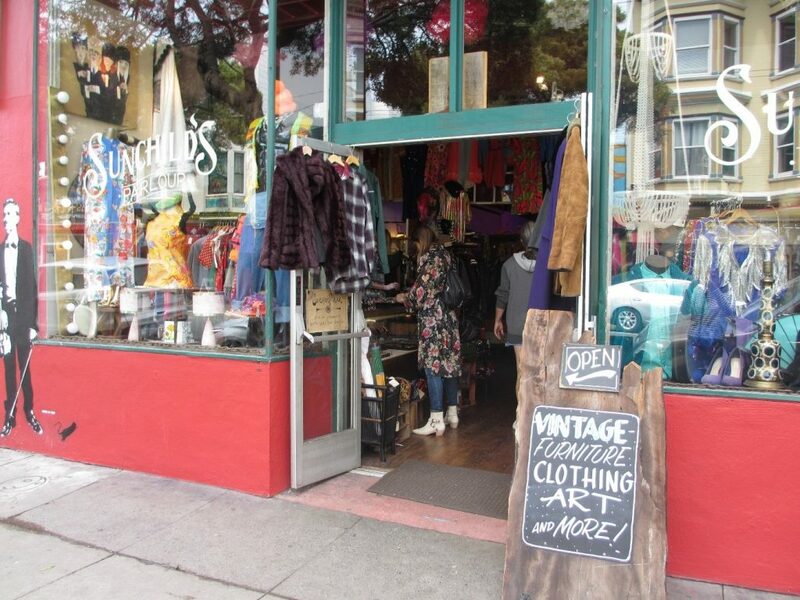 Typical hipster shops and restaurants, such as specialty coffee roasters, vintage clothing shops and vegan eateries, can be found a lot in the district of Haight-Ashbury. They are often a possible indication of gentrification, because they represent higher incomes, professional careers and wealth. Vintage shop on Haight Street. Hipsters and the commodification of their lifestyle are often associated with gentrification and the displacement of longtime residents, working-class people, and communities of color. This is a significant problem in the San Francisco Bay Area and the district of Haight-Ashbury is no exception. Most houses in the area are nicely renovated and very well maintained, which can also be associated with gentrification. 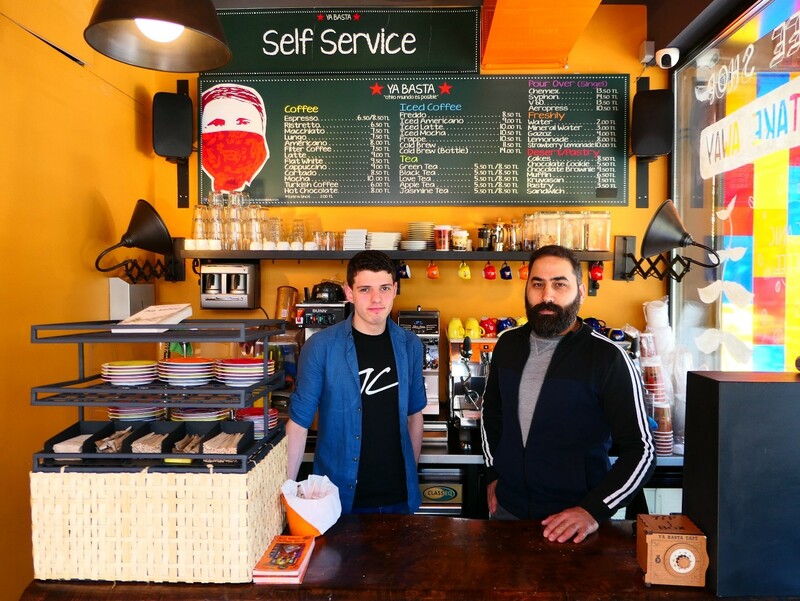 Compared to the decline after the “Summer of Love”, the neighborhood has been stabilized and revitalized. Shops, restaurants and tourists made the area thrive. However, many negative effects of gentrification can be found in the district of Haight-Ashbury as well. The main problem seems to be the loss of affordable housing in the area. Due to rent and price increases, many longtime residents have been displaced from their homes and became homeless. 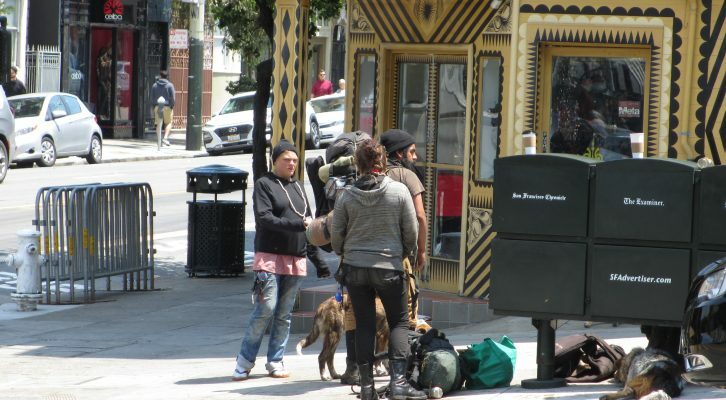 As a result, a lot of homeless people live on the streets of Haight-Ashbury. Just like after the “Summer of Love”, homelessness is again characterizing both the gentrified and the touristic area of Haight-Ashbury. 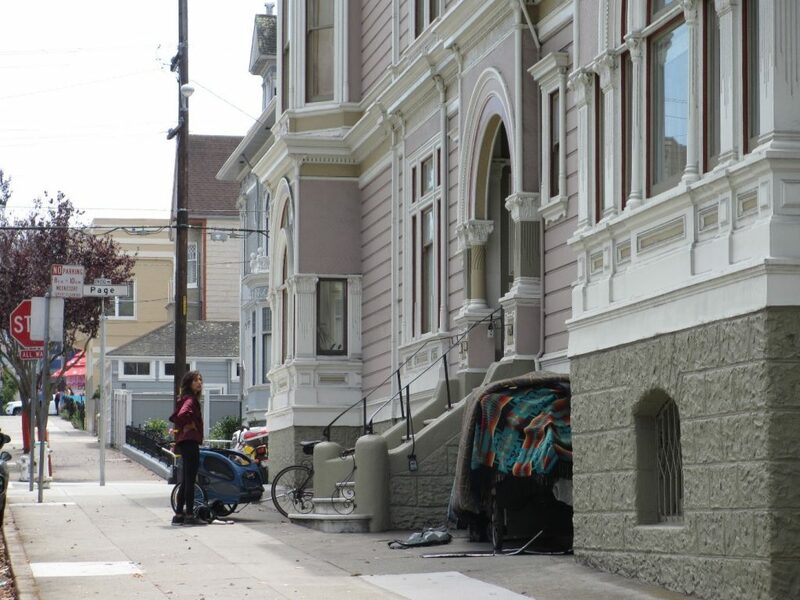 High incomes and homeless people claim the same urban space and as a result rich and poor live closely together in the Haight-Ashbury district. The belongings of a homeless person next to a renovated Victorian house. Known as the birthplace of the hippie movement and the “Summer of Love”, Haight-Ashbury has always attracted a lot of visitors. When the hippies left, the city took the opportunity to commodify and commercialize the flower power period of the neighborhood. Hippies were replaced by hipsters, and gentrification became unavoidable. Increasing property values and the emergence of high-end shops and restaurants, priced out longtime residents and communities of color in Haight-Ashbury and forced them to live elsewhere. Elsewhere means, in many cases, on the streets. 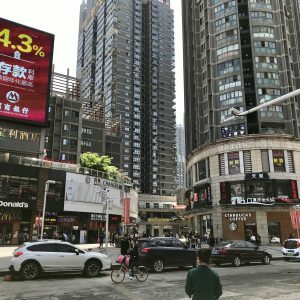 Despite hipsters and tourists dominating the neighborhood, homeless and deprived people define the neighborhood just as much. As a result, the Haight-Ashbury district is not only a place of peace, love, and happiness, but also a place of inequality, displacement and contradiction. All the pictures in this article are taken by the author. Iris van Gent has completed a bachelor’s degree in Human Geography and Urban Planning at the University of Amsterdam. She continued with the master Urbanism and Spatial Planning at the University of Antwerp and studied at the University of California, Berkeley during the summer.